The Minister of State for Power and Coal (Independent Charge) Shri Piyush Goyal, the Minister of State for Minority Affairs (Independent Charge) and Parliamentary Affairs, Shri Mukhtar Abbas Naqvi along with the Minister of State for External Affairs Shri M J Akbar today inaugurated “Hunar Haat”, which is being organised for the first time at India International Trade Fair (2016) at Pragati Maidan in New Delhi by the Ministry of Minority Affairs. 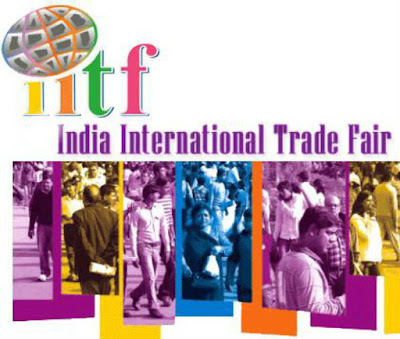 About 184 master artisans from all corners of the country are showcasing their traditional art and skills at about 100 stalls in “Hunar Haat” at India International Trade Fair. “Hunar Haat” (Skill Haat) exhibition is aimed at promoting and supporting artisans from Minority communities and providing them domestic as well as international market for display and sell their products. This is providing an excellent platform to artisans belonging to Minority communities from across the nation to display their art and skills before the domestic and international visitors. “Hunar Haat” is an amazing gathering of artisans from every corner from 26 states and Union Territories of the country. The exhibition is being organized in Hall No. 14 of Pragati Maidan by National Minorities Development & Finance Corporation (NMDFC) under scheme “USTTAD” (Upgrading the Skills & Training in Traditional Arts/Crafts for Development) of Ministry of Minority Affairs. The USTTAD scheme aims at preserving & promoting the rich heritage of the traditional arts & crafts of the Minority communities. These crafts have gradually lost their employability in the light of globalisation & competitive market. The shortlisted artisans include several State/National Awardees from 5 Minority communities representing as many as 26 states and Union Territories. These are Uttar Pradesh, Gujarat, Delhi, Jammu and Kashmir, Rajasthan, West Bengal and Bihar. Besides these states, artisans from Leh-Laddakh to Manipur, Nagaland to Kerala are also participating in “Hunar Haat”.